Frontier life has long interested me. I’m not sure if it is from frequent playing of the old Oregon Trail game on our mid-90s computers, or perhaps from reading Lonesome Dove a million times. The westward expansion of our civilization across America is infinitely interesting to me. Part of that expansion, of course, involved a lot of death – for both Native Americans and white settlers. 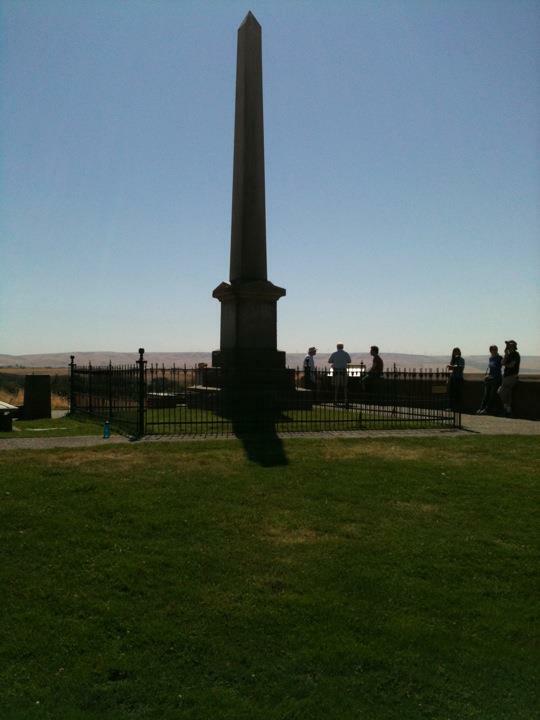 Just outside the town of Walla Walla is the Whitman Mission, which was the site of one of the few massacres to occur in Washington state. The memorial obelisk on top of a hill on the mission’s property. 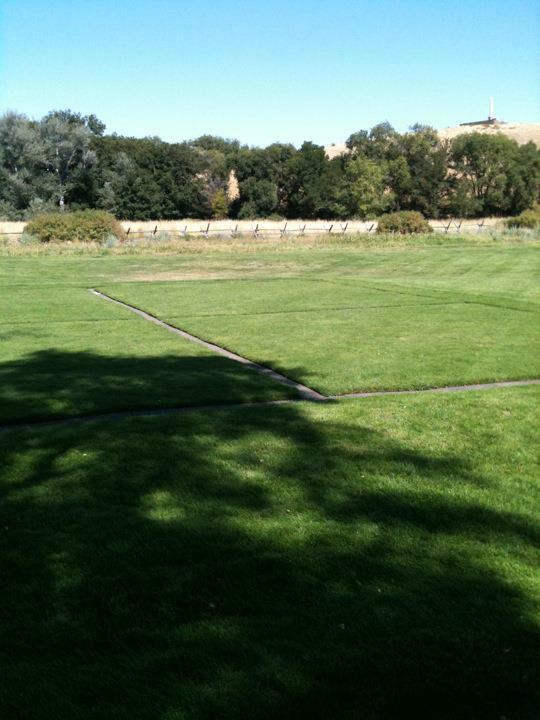 The National Historical Site features a cemetery, remnants of the Oregon Trail, foundations from the historic buildings, the restored irrigation ditch, millpond, an old apple orchard and a memorial obelisk on top of a hill. The massacre, which sparked the Cayuse War, occurred November 29, 1847, resulting in the deaths of 13 people, including missionaries Marcus and Narcissa Whitman. 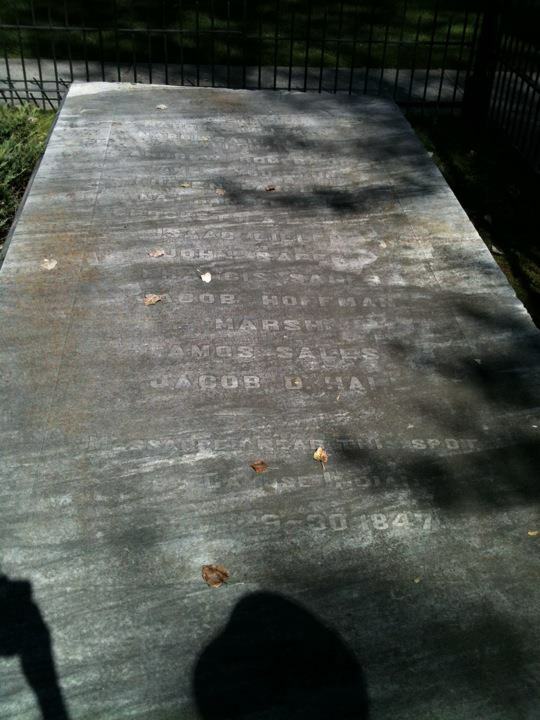 The foundation for the Whitman Mission house, where Marcus and Narcissa were killed. The group was killed by a party of Cayuse and Umatilla Native Americans, who accused Marcus Whitman of poisoning 200 Cayuse who were in his care. Whitman was killed by a tomahawk to the back of the head, while Narcissa fell amid a hail of bullets. Also dying were Andrew Rogers, Jacob Hoffman, L.W. Saunders, Walter Marsh, John Sager, Francis Sager, Nathan Kimball, Isaac Gilliland, James Young, Crocket Bewley and Amos Sales. The headstone for the mass grave of many of the 13 who died in the massacre. Most of the dead are buried in a mass grave under a marble slab which remains at the historical site to this day. Another 50 or so women and children were captured, with several dying in custody from measles before the rest were returned to settlers. Nearly three years later, tribal leaders Tiloukaikt and Tomahas and three Cayuse men went to Oregon City to be tried for the murders. They were found guilty, though the decision was controversial because some of the witnesses were suspected to not be at the site of the massacre. All five were eventually found guilty and hanged. The Oregon Trail. I did not die of dysentery. The massacre helped spur Congress to formally establish the Oregon Territory in 1848. The mission was open from 1836-47 and was just the second Protestant mission established in the Oregon country. 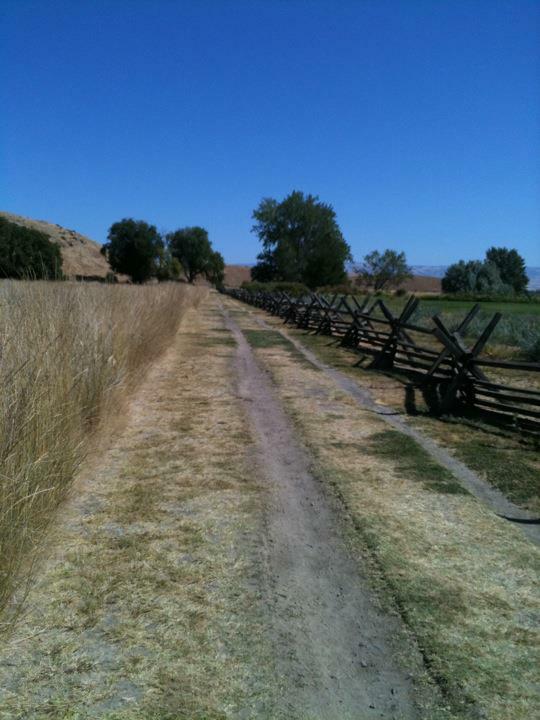 It became an important stop on the Oregon Trail, and at the time of the massacre was sheltering 74 people. Craig has always been one for gallows humor. 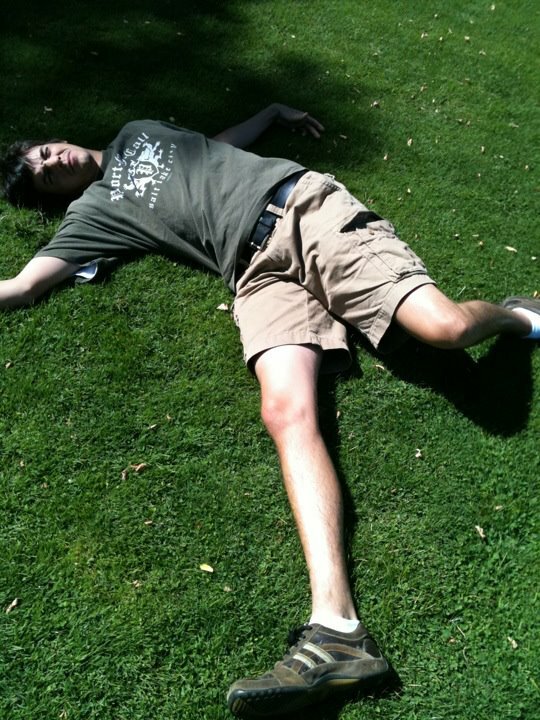 Here he pretends to have died in the massacre. Today the Whitman name lives on in Walla Walla, as Whitman College is based in the town. While the site is difficult to reach in the southeast corner of Washington state, it is an important part of our state – and region’s – history. Location: Eleven miles east of Walla Walla, Washington, in the southeast corner of the state. When: Any time of year, though Walla Walla is beautiful in the summer. What: Historical site preserving a Protestant mission from the 1800s where a massacre occurred. I loved that place as a kid. Went many times.